First Go to- Purpletree Multivendor ->Setting. Click on setting to get setting page after that seller should enable subscription plan and select Enable Subscription plan “Yes”. As soon as you select yes as you will get all related field of subscription plan. Admin should fill all fields carefully. If Enable subscription plan and enable joining fee set ‘yes’ by admin then subscription plan price will be set as it is. and if set to ‘No’ seller can buy Subscription plan at Zero price. Admin should create PayPal account and enter unique valid button id for enable PayPal button on seller Subscription plan payment. Seller can add TAX name as wish which has to be added in Seller Plan Invoice and set value 0 to 100 in percent which will be add to subtotal of Subscription Plan. When subscription plan of any seller is expiring then mail will be generate automatic to seller and admin.Their plan will be expire after X days to remind seller. Grace Period is the days for which admin wants to increase days after the validity of plan as defined in admin for seller Subscribed Plan only if seller has not purchased or upgraded the current plan. 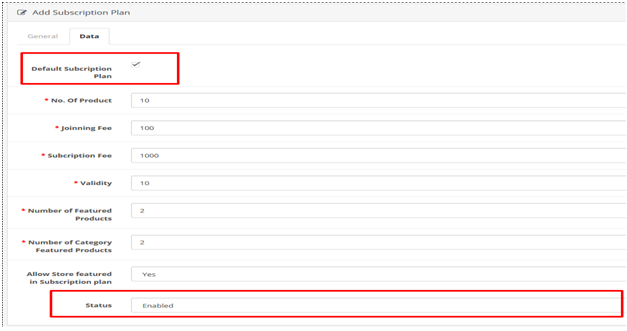 if enable multiple Subscription plans select “Yes” then seller can enable multiple plan at a time. if plans select “No” seller can enable only one plan at a time. First Go to: Purpletree Multivendor -> Subscription Plan. Click on add button to create subscription plan. Click on add button to create subscription plan and fill all field . Admin should fill Plan name in Each Language in each tab is required. 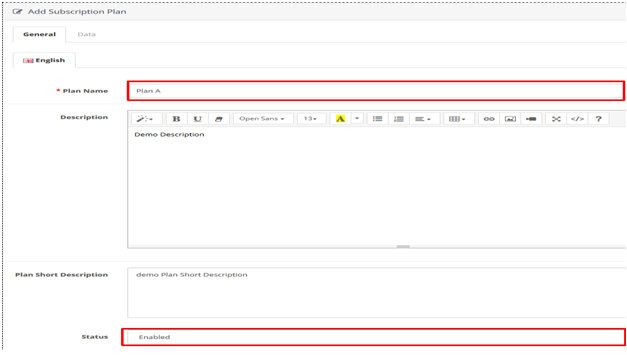 Admin should Description and Plan short description in Each Language. Seller should enable for visible plan on seller and admin side. Click on Data Tab and fill all fields. Admin can add default subscription plan, set no of product, subscription fee, joining fee, validity, no of featured products, no of category featured products and allow store featured in subscription plan. Admin should enable status for visible subscription plan on seller and admin side. click on add button. To seller subscribe. Admin will see following type page. Admin can choose any Subscription plan and plan start at current date. Admin should do subscription status enable to enable seller. And click on save button. 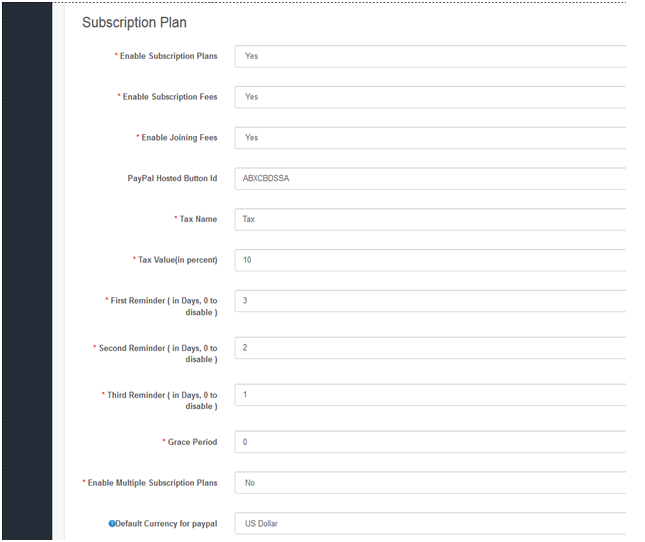 After that you will see subscription plan confirmation page. After that click on save and generate button to generate in voice. Subscription plan created successfully. To Enable Subscription and Payment Complete. First click on Purpletree Multivendor -> Seller Subscriptions. You will see all seller who has subscribed a subscription plan. admin should choose a seller who wants to enable subscription and complete payment status. Click on View button. To enable subscription and complete status. Select subscription status enable and click on update button to seller subscription plan enable. After that click on view button for view all history of selected plan. That after you will click on add payment history button for change payment status. After that you will see following page. Admin can change Subscription Plan payment status. Admin should complete payment status to subscription plan Enable. Click on save and Enable subscription. Now seller can see active subscription plan on seller side.